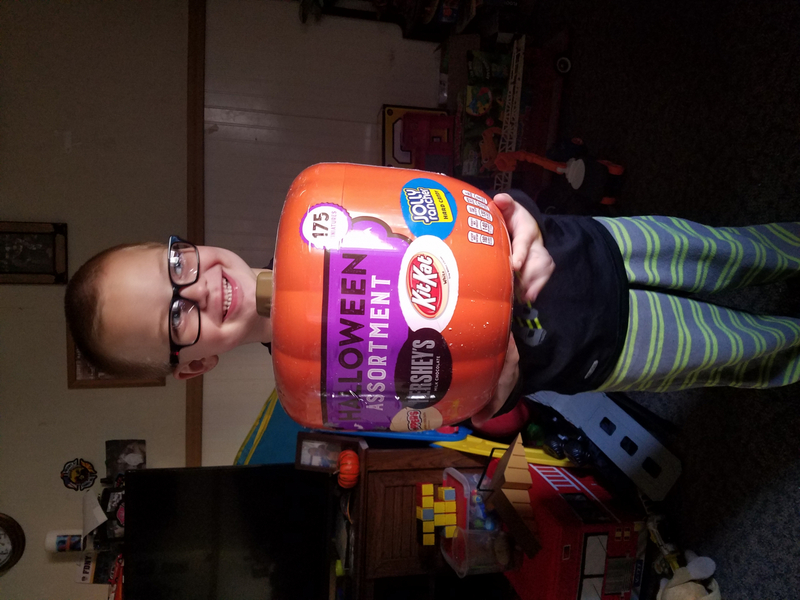 Hershey's snack size candy bars inside a plastic pumpkin. 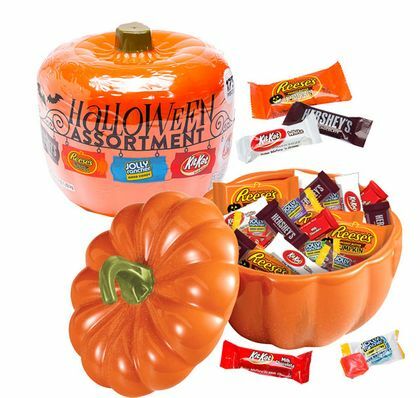 This Halloween assortment has 175 wrapped snack size candy bars. Reese's pumpkins, Jolly Ranchers, Kit Kats, Hershey bars, and Kit Kat white. It's the perfect gift or assortment for your Halloween party or gift giving! Plastic pumpkin stands 10" tall and 10 1/2 inches wide. Grandson love this, I was very happy to send this to him. Thank you so much.